This exceptional 4 bedroom, 2 full and 1 half bath home is located in the gated Carolina Country Club neighborhood in Spartanburg. Drive into the paved circular driveway featuring a lovely fountain. 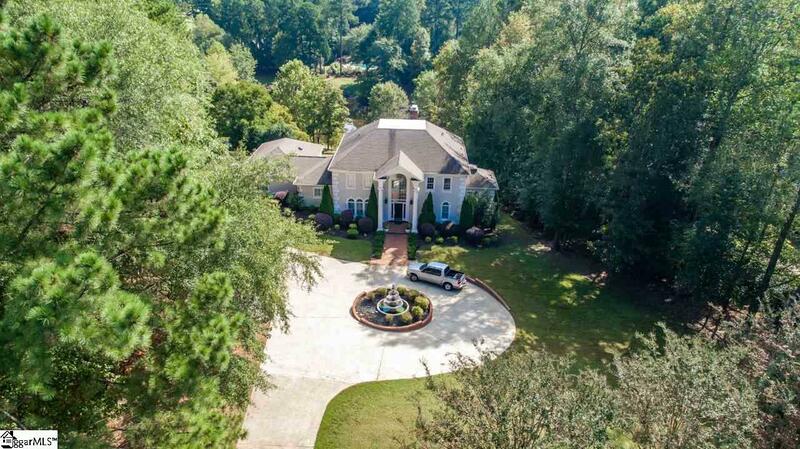 This magnificent home has an open floor plan with plenty of room for entertaining your guests. 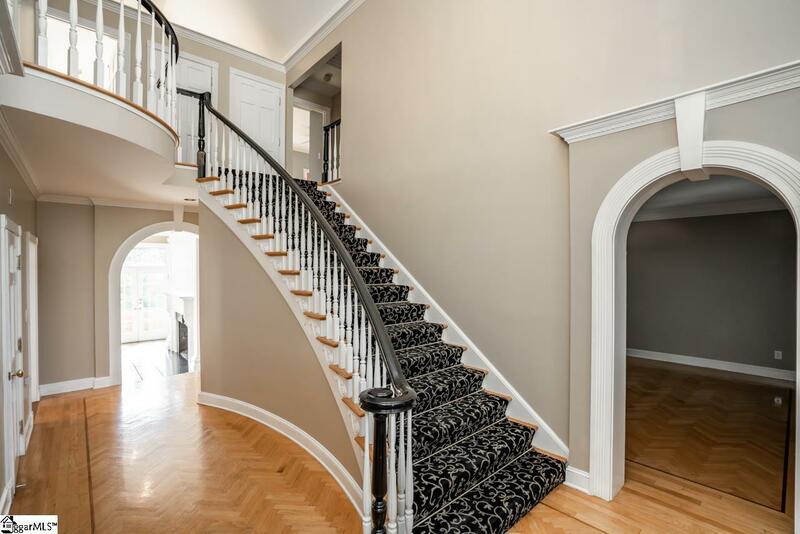 Upon entering youll find yourself in the large foyer with a gorgeous cathedral ceiling. The cozy living and dining rooms on your right and left invite you into the lovely home. 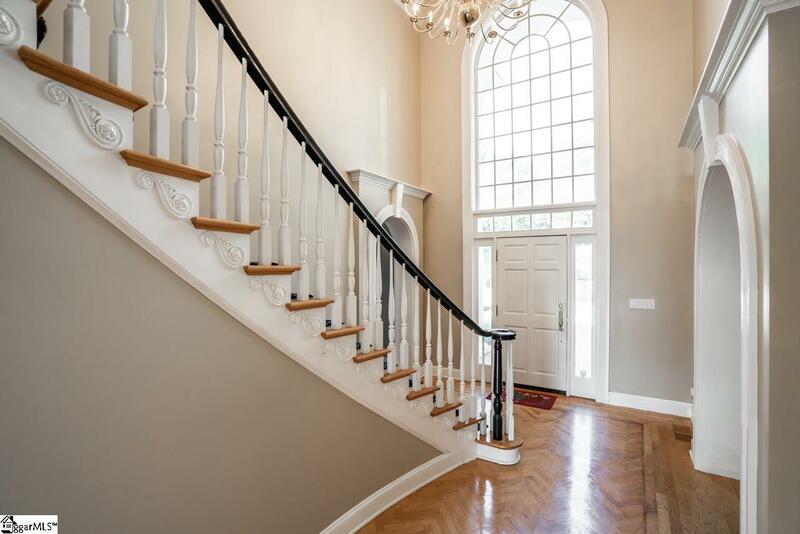 Stroll through the beautiful great room featuring built ins and a fireplace. Gaze out onto the bricked patio which includes a built in Viking gas grill and prep area, overlooking the large backyard and beautiful lake. The exquisite kitchen with stainless appliances, gorgeous granite and backsplash, and an eat in area makes a perfect place for dining with family. Wine lovers will obsess over the custom wine cellar just steps from the kitchen with room for thousands of your favorite bottles. All four spacious bedrooms feature large closets. The master bedroom has two walk in closets and a bathroom with a double vanity, jetted tub, and separate shower. You will also love the bonus rooms like the study and a large game room in a walk out basement - that even has a fireplace and private patio. In addition this home has security system, surround sound in many areas, a tankless hot water heater, a detached 2 car garage with a workshop, and central vacuum. This home has it all! Dont miss your chance. Listing provided courtesy of Anne Poliakoff of Coldwell Banker Caine Real Est.